Well, it’s that time of the year again – the time we look back over the year that was and ahead to the year to come – so today on the blog I thought I’d fill you in on what I’ve been up to and what I’ve learnt writing wise. And tomorrow, what I have planned for 2015. It’s been a busy last few months finishing the draft of Close To Home. When I last blogged I gave a brief outline of the story and while it hasn’t changed in essence I’m pleased to say the plot and characters have developed. Overall I’m pretty happy with the novel. The day I submitted it, I spoke to my publisher, sharing my nerves about the final draft and how hard I felt the process had been. She reminded me I’d said the same thing about the last two novels! So, that’s one thing I’ve learned after completing book number three: each book is different in terms of the process and how it comes to you, but it never gets any easier and the anxiety we have about our writing never goes away. It’s just part of the job and something we need to accept and not get caught up in. There were quite a few times I hit what I thought were major roadblocks in terms of where to go next with the plot. In my usual style I opted for avoidance and spent weeks on end doing anything but write. When I finally sat down and forced myself to face the page – to write anything at all rather than nothing – what I rediscovered was that the act of writing produces ideas. Even if what you come up with initially is rubbish (that’s what revision is for) just getting the words down leads you back into the story and new plot lines start to emerge. I knew this already of course, but had chosen to ignore it and be a tortured artist instead. Bad move. One I hope not to repeat in the future. Something else I re-learnt was that talking plot and character problems through with writing buddies or family members who are willing to listen really does help. As writers we are so close to our work or so focused on the initial idea we have that alternatives may not occur to us – or if they do we ignore them because that’s easier. Thrashing things out really does help. This time around I’ve spent a lot more time discussing the plot with my husband. He’s not much of a reader but is a good listener and able to give a different perspective. Talking character problems though with my gorgeous publisher Vanessa also helped. Even though the changes meant I had to go back and alter parts of the plot, it opened up more possibilities and made the characters more authentic. And of course as well as talking issues through, sharing both excerpts and the whole final draft with my fantastic writing groups helped enormously. Getting and listening to feedback always improves the final product. I’m blessed to have a number of fellow writers who give honest, constructive comments. Sharing your writing with someone you see as an ideal reader is helpful too and I’m very lucky to have someone who was willing to read the draft and give her honest opinion. While it’s not always easy to hear, the bottom line is that the feedback will make you take another look at what you have written, reassess it and (hopefully) improve it. One of the highlights of my writing year was attending the Writing in Paradise Course with the fabulous Cate Kennedy as tutor. Apart from sharing everything she knows about writing with the group (which was blissfully small), Cate spent hours of her own time reading and editing my manuscript. Her feedback made me take a good hard look at the writing and I can honestly say it is a whole let better for her input. 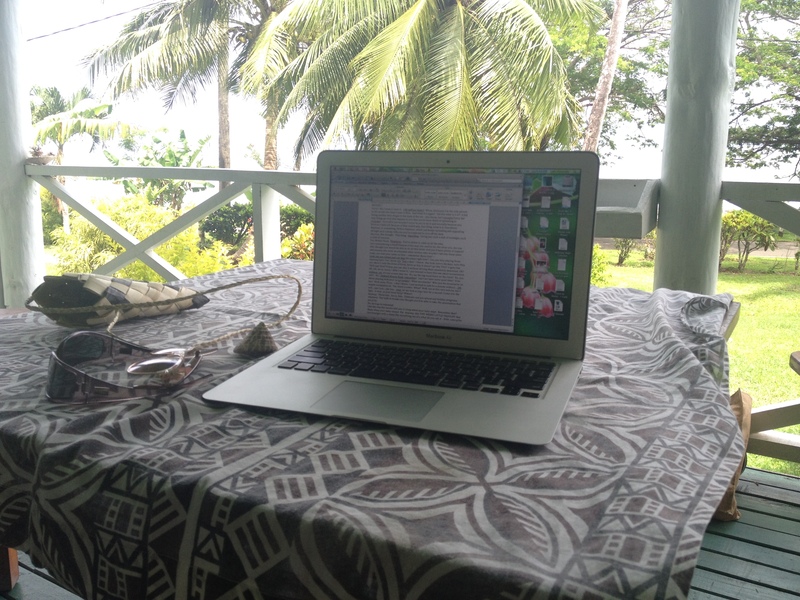 Anytime spent with fellow writers talking about your shared passion is time well spent and the week I had on the island on Savu Savu at the lovely Daku Resort was invaluable. 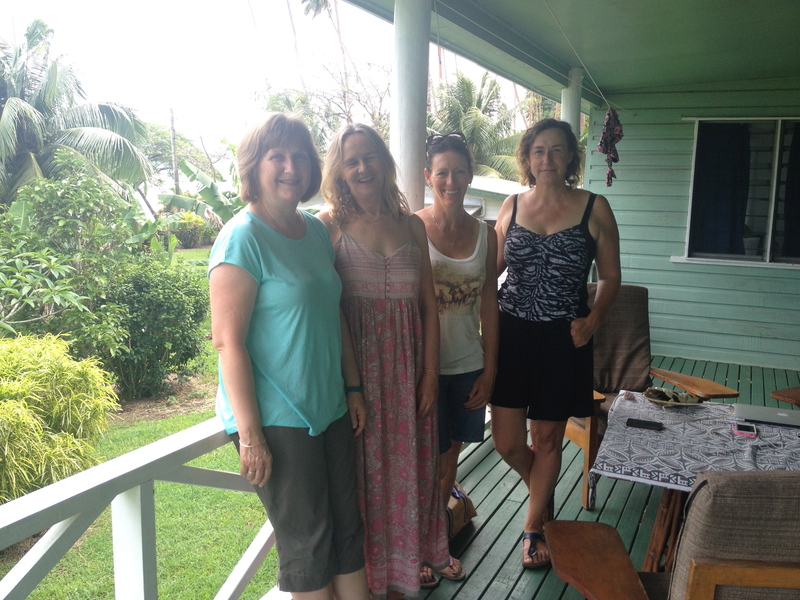 With my writing buddies at Daku Resort, Savu Savu. The novel I began in February 2014 should be completed and ready to go to print by the end of January 2015. A good part of that time was spent writing the first draft – with a lot of stalling. I’m what’s called a pantser in the writing world – someone who writes without a detailed plot outline, letting the story take me where it will. Although I still love this process and the surprises it can reveal I do think it was partly responsible for the hiccups I had along the way. For my next novel I’m going to try to do more initial planning, write every day and get the first draft done a lot quicker so I have more time to spend on revision. But that’s really what tomorrow’s post is about. How was your writing year? What did you learn? Huge congrats on finishing your novel, Pamela! I had quite a few “Oh, me too” moments reading this post. I’ve discovered the need to plot a little in my pantser state but then I discovered that if I plot too much, I lose the pantser momentum. I’m hoping 2015 will find me a happy medium. 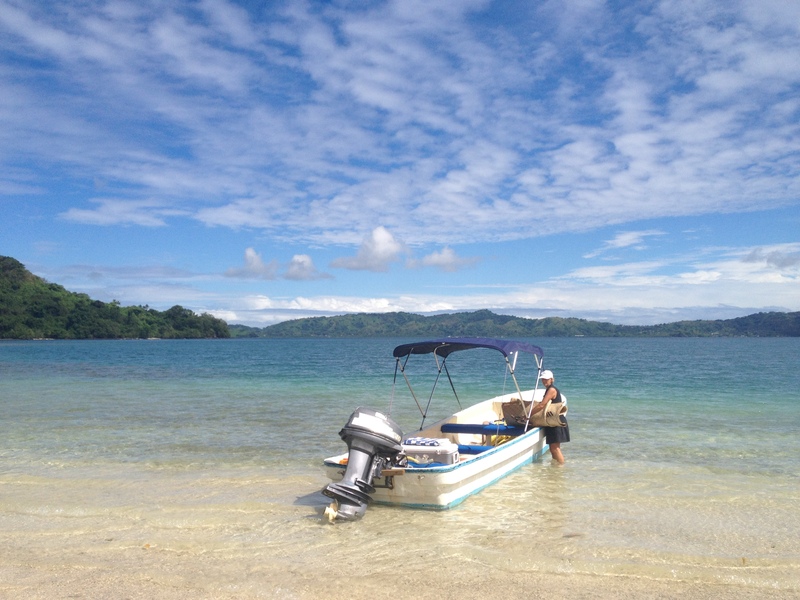 Daku Resort looks wonderful! Happy New Year to you – wishing you joy and lots of writing-moment breakthroughs! I’m after that happy medium too Jenny. Good luck with it!Happy 2015 to you too – look forward to catching up. I’ll let you know how it goes Nicola. Hope all is well with you and your writing.